DUBAI HEALTHCARE CITY, UAE - Jan. 24, 2015 - PRLog -- In a gesture of professional partnership, and recognition of the 40th anniversary of the Arab Health Exhibition and Congress, U.S. International Pavilion organizer Kallman Worldwide will present rare bound copies of the 1867 volume of The Lancet for the permanent collection of the Al Maktoum Medical Library (AMML) when the show opens this week in Dubai. The two-volume set documents the state-of-the-art in medicine 148 years ago, most notably Joseph Lister’s breakthrough case for “sterile surgery,” a discovery that revolutionized operating room procedures and dramatically reduced the risk of post-operative infection. The Lister report will be prominently displayed first for visitors to the Arab Health “Future of Surgery Zone,” a new interactive exhibition area. After the event, the bound volumes will be moved to the permanent collection of the AMML, part of the Mohammed bin Rashid Academic Medical Center. 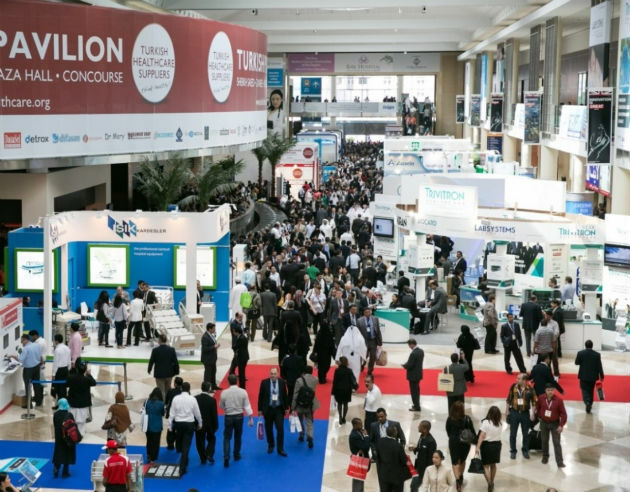 Nearly 100,000 healthcare industry professionals, including 4,000 exhibitors, are expected to attend Arab Health 2015 January 26 - 29 at the Dubai International Exhibition Centre. The event is the largest healthcare exhibition and congress in the Middle East and the second largest in the world. 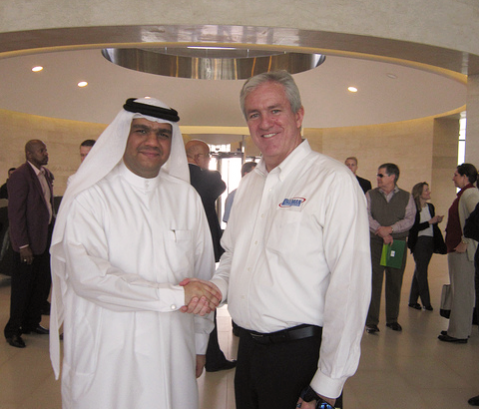 Kallman Worldwide has been organizing the official U.S. Pavilion at Arab Health since 1995. This year, 247 U.S. companies will exhibit with Kallman to present the latest American medical technologies, solutions and services to the region’s healthcare decision-makers and influencers. In 2014, U.S. Pavilion exhibitors were privileged to take a guided tour of the AMML, which Kallman Worldwide President and CEO Tom Kallman said inspired this year’s gift. “After receiving such a warm reception and informative tour of this remarkable facility, we felt compelled this year to present a gift that would represent the heritage of goodwill between the USA and our medical partners here in the UAE, and our commitment to continued cooperation,” Kallman explained. 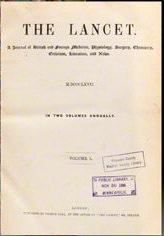 For more (and the most current) information about the donation of The Lancet , click here or go to http://kallman.com/Arab-Health-1867-Lancet-Donation. Kallman Worldwide Inc. is the demonstrated leader in the marketing and management of trade exhibitions and conferences. For 50+ years, Kallman has helped more than 10,000 companies, associations and government agencies Exhibit with ConfidenceTM at industry and professional events around the world. Kallman’s U.S. International Pavilion programs cover all the details, enabling exhibitors and partners to maximize their tradeshow investments and focus on cultivating meaningful global business relationships. Kallman Worldwide has been active in the UAE since 1989 and is a Vice-President-level member of the American Business Council of Dubai and the Northern Emirates, and a Platinum Member of the American Chamber of Commerce in Abu Dhabi. The Kallman group of companies has been involved with nearly 1,000 exhibitions in 46 countries. The company’s target industries include aerospace, defense, energy, healthcare, maritime, mining and water utilities. Follow @Kallmantweets on Twitter for the most current information about Kallman events around the globe. The Al Maktoum Medical Library (AMML) supports the medical community at Dubai Healthcare City (DHCC) by providing access to quality and authoritative information resources. Located on the first floor of the Mohammed Bin Rashid Academic Medical Center (MBR-AMC), the Library has state-of-the-art services and resources available to DHCC healthcare professionals via membership. It offers a collection of point-of-care resources and medical education databases, and provides space for quiet study, group study, technology-enriched learning, media viewing, browsing and instruction. The collection also includes more than 2,000 print titles, and a wide selection of e-books, e-journals and digital scholarly materials from databases including ClinicalKey, CINAHL, Consumer Health - Arabic, Medline, and OvidMD Plus.